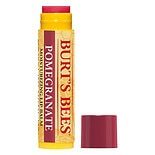 Shop Burt's Bees Lip Balm Pomegranate Oil, Pomegranate (.15 oz. ).15 oz. $679$6 and 79 cents$22.63 / oz. 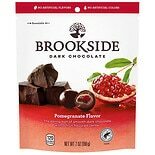 Shop Brookside Dark Chocolate Pomegranate Pomegranate Flavor (7 oz. )7 oz. 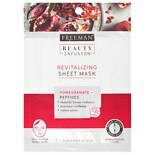 Shop Beauty Infusion REVITALIZING Pomegranate & Peptides Sheet Mask (.84 oz. ).84 oz. Pomegranate (punica granatum) is a good source of antioxidants. Antioxidants are natural compounds that help protect cells against damage. Seeds from the pomegranate fruit are a source of fats that may have health benefits. Some research suggests that pomegranate oil may help to lower triglyceride levels. High triglyceride levels are linked with an increased risk for heart disease. Pomegranate oil may also help to raise HDL-cholesterol, the "good" type of cholesterol that helps protect against heart disease. These changes, along with a heart-healthy lifestyle, could lower the risk for heart disease. More research is needed to confirm these potential heart health benefits of pomegranate oil. Pomegranate oil may also have benefits for hair, skin and lips. It's often an ingredient of choice in organic and natural anti-aging skin care products. Pomegranate oil contains fats that help hold in moisture for skin and hair that's softer and smoother. 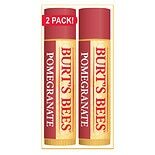 In addition, it contains natural antioxidants that may help protect skin and lips against damage from the environment. Some parts of the pomegranate plant might possibly help protect skin against aging. More research is needed to confirm this. Pomegranate oil comes from the seeds of the pomegranate fruit. People have eaten this bright red fruit for thousands of years. At recommended doses, pomegranate oil appears to be safe, but it's possible to be allergic to pomegranates. If so, you could experience an allergic reaction to the oil and any other part of the fruit. People who are allergic to pollen are at higher risk for allergic reactions. In some cases, these reactions could be life-threatening. In addition, pomegranate juice contains compounds that may change the breakdown of some medications by your liver. This could alter blood levels of these drugs. That's why it's best to talk to your doctor before using pomegranate oil. You can also find pomegranate oil combined with other ingredients like flaxseed oil and borage oil. Read the ingredient list carefully and discuss pomegranate oil and other herbal remedies with your doctor before using any supplement. All supplements, herbs and even foods can have side effects. Do not take pomegranate oil if you are on certain medications to control blood pressure, treat heart failure, lower cholesterol or thin your blood since it can raise your risk of having side effects. Your doctor can review your medical history and advise you on whether or not it's right for you.